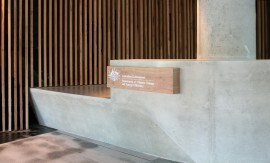 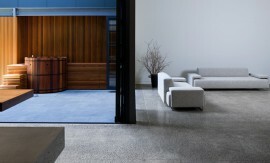 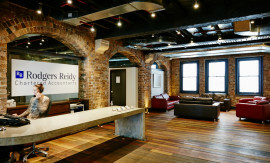 The perfect combination of Australian Timber and new age Concrete application. 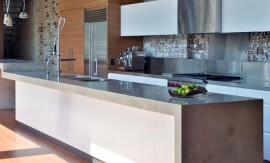 At the heart of every residential house this kitchen island benchtop unassumingly looks out to the bushland below. 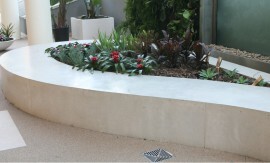 Another great example of on site form and pour application. 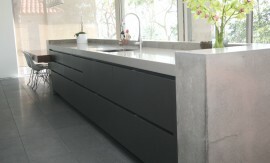 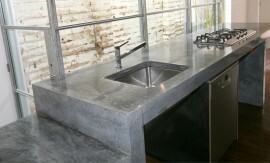 This Island Bench features a under mound stainless sink and integrated cabinetry built after concrete works were completed.